It is really easy to buy baby washcloths for few dollars, there are so many cute designs over in shops to sell. But after seen many tutorials on how to sew baby washcloths, I wanted to try some at home. This is super easy if you have basic sewing skills. I used flannel to one side and towel material for the other side. Because these are double sided, they are better than small single layered washcloths which I bought before. Place both fabrics right sides together and cut into 7’*7’ squares. Now sew the both pieces together around the fabric. Leave a small opening. After that, turn the right side out. It is almost done! Now stitch along the way all-round the edges. It is done! Really easy, isn’t it? 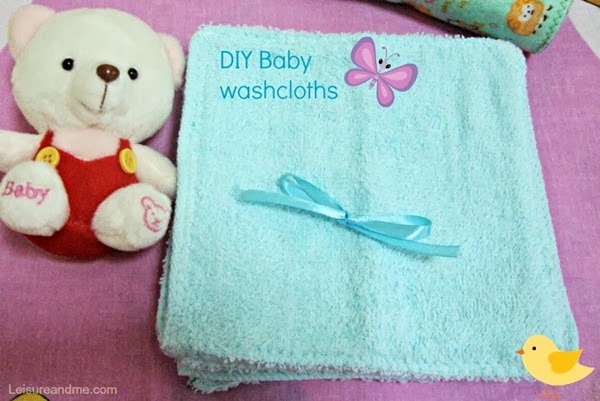 Please check this Baby washcloths tutorial with step by step pictures. DIY Baby clothes is one of the best ways to save money from baby expenses. Thanks for linking to Super Sunday Sync.